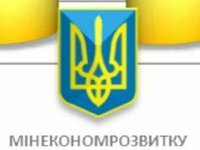 The Economic Development and Trade Ministry of Ukraine predicts the annulment of the limits for cost-effectiveness for defense products at 1% for spare parts and 20% for other costs, which are in effect now in defense industry, under the proposal of the Defense Ministry by the end of 2018. "The Economic Development and Trade Ministry has already initiated the annulment of the cost-effectiveness limits under the 1/20 formula before the government," Head of the interagency commission for defense industry at the National Security and Defense Council (NSDC), Deputy Economic Development and Trade Minister Yuriy Brovchenko told Interfax-Ukraine at the15th international specialized exhibition Arms and Security 2018 held in Kyiv on October 9 through October 12. "This issue was considered at a recent meeting of the interdepartmental commission on the defense industry at the NSDC: now we are working on a fundamentally new pricing mechanism. The Defense Ministry voiced readiness to consider proposals," he said. Brovchenko predicted that the decision on the transition of the defense industry to a new pricing model could be made before the end of 2018. "I think that a certain decision will be made within a month," the deputy minister said, explaining: "Either defense industry will enter 2019 with a new pricing mechanism, or we will return to the 5/30 formula, canceled by the government in February." As reported, in February, the Cabinet of Ministers at its meeting canceled, at the suggestion of the Defense Ministry, initiated by the private sector of the defense industry in 2017 and supported by the prime minister in January, the pricing mechanism for defense products, providing for profit margins for military spare parts 5% and 30% for other costs. Today, profit margins imposed by the Defense Ministry in 2016 in the production of defense products are still in effect in the defense industry: for spare parts - 1%, for other costs - 20%.